Many people are now experimenting with sending Reiki using their eyes and their breath, based on the two Japanese techniques ‘Gyoshi Ho’ and ‘Koki Ho’. Now I do not believe that Reiki necessarily comes out of your eyeballs when you use the ‘eye’ technique, like Clark Kent raising his glasses to send laser beams out of his eyes. But I do think that you have created a little visualisation that sends the energy in a particular way. 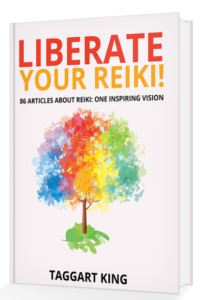 When you imagine that Reiki passes from your eyes, the energy is focused in a way that picks up on some of the connotations of staring: the energy is received in a piercing, localised, penetrating, or ‘focused’ way. Send using your breath and the energy is sent in more of a superficial ‘billowing’ form. You have made the energy go to the other person’s body. You have intended that, and it has happened. You visualised to achieve this, but that is just a convenient way of focusing your intent, and it is your intent that is the important thing here, not the details of the ritual that you use to control the energy. You may choose to carry out a detailed ritual in order to perform distant healing, you may use a set form of words, a symbol, more symbols, you may make a detailed visualisation, but you are still focusing your intent and the details of the ritual don’t matter. 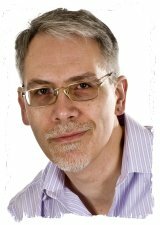 If you feel comfortable with detailed ritual – ‘High Church’ – then fine, that works for you; stick with that. But I think we need to realise that we can remove the strait jacket, we can let the ritual go if we want to and still achieve the desired effect, and that is still Reiki. We can experiment: sit a Reiki friend the other side of the room and send Reiki to their forehead, or their shoulder. 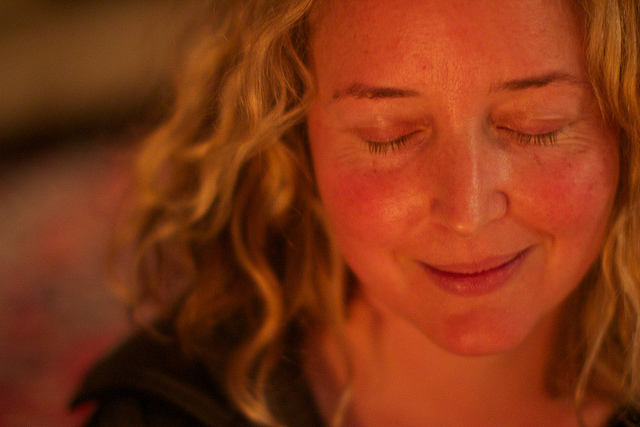 Don’t beam it, don’t do distant healing, don’t use your eyes or your hands: sit on your hands, close your eyes and just *make* the energy go where you want. It will follow your thoughts. When you are thinking nice warm thoughts about another person then dzzzzt, the energy has followed your thoughts, your focus, and you have just sent distant healing to them. When we self-treat we can move the energy through our bodies using our mind, using our intention. If you can’t contort yourself and get your hands to rest on the part that you want to treat, just imagine that your hands are resting on the area that you want to treat, and the energy will be there. If you have backache, and you were lying on your bed with your hands resting on your abdomen, you could imagine – visualise – that the energy was flowing from your hands to your back, and the energy would go there. You can even ‘cut out the middle man’: draw down the energy through your crown and imagine it passing through your body to the affected area. The energy will go there. The symbols, too, are a visual focus that connects us to a particular aspect of the energy that is already within us. Usui introduced symbols late on in Reiki’s history for the benefit of the Imperial Officers who trained with him. They are the foundation of Western Reiki, though not of the ‘original’ form of Reiki that Usui Sensei taught to most of his students. We can go beyond the symbols too if we feel that we want to, once we have experienced the distinctive flavours, the distinctive energies, of the Reiki symbols. Unfortunately the Western way does not tend to give us this opportunity, but the potential is there. What lies behind each symbol is a distinctive, characteristic energy, and with practice we can move the symbol to one side and access the energies direct if we choose, and that is still Reiki. If we believe that something is not possible, or not ‘correct’, then we are shooting ourselves in the foot before we even begin. If we believe that something is not possible then we will not try, we will not maximise our potential, and our Reiki is diminished as a result. If we can raise our horizons, suspend our disbelief, and simply try things, then we will be amazed by what is possible, and how simple things can be.